Imagine being a dad with a teenage son who has seemingly turned his back on you. He has rejected the values you have worked so hard to instill in him and he does not seem to care about anything but his own selfish wants. You wonder how this could be. He is 19 years old and you have not seen him in over a year. A sense of despair has gripped you. You are alone in your living room. You fall to your knees and begin to pray for your boy. Besides your wife and fourteen-year-old daughter, you have other things on your mind. You are a respected Police Chief in a city of two million people where a major political convention is scheduled to take place in two days. You have been asked by the Police Commissioner to coordinate the security forces on the perimeter of the convention center. You have a job to do and right now it takes precedence over other things. At 6 p.m. on the first night of the convention, protesters begin massing on the east side of the center. You can see that they are well organized and plan to create mayhem. At 9 p.m. the crowd numbers several thousand and the screaming and yelling is getting intense. Suddenly, the crowd, urged on by several masked protesters, surges forward and then breaks into a charge. Dressed in riot gear, you are standing at the forefront of your men and in your hand is a taser. One man is charging right at you when suddenly he stops short, falls to his knees, and drops his hands to his side. You hurry up to him and yank off his mask. You are stunned because you are looking down at your son. He is crying and telling you he is sorry. You lift him to you and you hug each other. The surging crowd, witnessing this unexpected turn of events, stops and becomes quiet. Does that sound far-fetched? If so, let us now travel back 700+ years to a day when something like this really did happen. And even though it may be 700 years ago, people then were like people now when it comes to their wants and needs and emotions and when it comes to family; especially when it comes to family. Arnold Armengol was a member of the Spanish hierarchy. 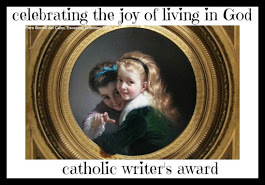 His son, Peter, in spite of being given the finest education and upbringing, rejected all of that and fell into the secular trap of self-centeredness, self-gratification, and outright debauchery. He even joined a band of criminals that preyed on people traveling up into the mountains. Peter was so good at this work he eventually became the gang leader. His dad, part of the royal hierarchy, was asked by King Jaime of Aragon to lead him on a journey to Montpellier so he might meet with the King of France. The King had heard of the brigands that preyed on mountain travelers and wanted to be prepared for this. As Arnold Armengol led the King’s entourage through the mountain passes they were attacked by a band of highwaymen. As the robbers charged toward them. Armengol led his men in a counterattack. With his sword drawn he headed directly to the leader of the pack. They were about to engage each other when the robber fell to his knees. He had recognized his father and with tears streaming down his face, prostrated himself at the feet of his dad and handed over his sword. Peter Armengol, repentant and seeking mercy, appealed to King James I and received a pardon. He was filled with shame and, heeding the graces offered to him by God, entered a Mercedarian Monastery in Barcelona. The mission of the Mercedarians, founded by St. Peter Nolasco, was to ransom Catholics captured by the Muslims. Peter excelled at this task and, over a period of eight years, managed to negotiate the freedom of many hostages from the Saracens. Friar Peter then headed to Africa with Friar William Florentino. His goal was to ransom Christians. On arrival in a place called Bugia, he heard about 18 Christian children held hostage by the Mohammedans. They were under the threat of death if they did not renounce Christianity. Friar Peter offered himself in exchange for the hostages. The captors agreed but warned Peter that if the ransom was not paid on time he would suffer brutal torture and death. The arrival of the agreed ransom and Friar Peter’s release were scheduled for a certain day. The ransom never arrived. Peter was immediately put to torture and endured this for days on end. The Moors, tired of Friar Peter being alive, accused him of blaspheming Mohammad. He was sentenced to be hanged. Friar Peter was hanged from a tree. His body was left there for the birds of prey to feed on. Six days later Friar William arrived with the ransom. The Moors refused it and told Friar William that Peter was already dead for six days and his rotted corpse was still hanging from the tree. Distraught, William went to recover his brother Mercedarian’s body. William left and headed to the execution site. As he approached he noticed that Peter’s body seemed to be intact. In fact, there was a fragrance of flowers in the air. William slowly approached the body of Peter. The man who was supposedly dead for six days began to speak. He explained how the Blessed Virgin had come to him and was holding him up with her precious hands so his body would not hang on the rope. Peter Armengol, when recalling the miracle of his hanging, told his Mercedarian brothers that the happiest days of his life were those six days that he hung from the gallows supported by the Blessed Virgin Mary. Peter’s neck, broken from the hanging, remained in a twisted position for the rest of his life and he always had a sickly complexion. Seven documented miracles were attributed to him while he was still alive. Peter Armengol was canonized a saint on April 8, 1687 by Pope Innocent XI. On this Father’s Day we might also remember how his dad, Arnold Armengol, prayed unceasingly for the safe return of his son. His prayers were surely answered, a lesson for us all. As a young woman, Mary, began working in Saint Eulalia Hospital tending to the sick, the poor and also those who were prisoners. One day she heard a sermon given by Bernard de Corbarie, who was the superior of the Brotherhood of Our Lady of Ransom, also known as Mercedarians. She was so moved by what she heard she vowed right then and there to do all she could to help alleviate the suffering and misery experienced by those who were prisoners of the Muslim Turks. Working at the hospital, Mary was able to come in contact with the great leaders of the Mercedarian order, including the order’s founder, St. Peter Nolasco. Inspired by these pious people Mary, in the year, 1265, joined a small group of women who lived near the monastery. These ladies spent their lives in constant prayer and doing good works for those in need. In due time the women asked for and received permission to form the Third Order of Our Lady of Ransom. In addition to the normal three vows of poverty, chastity, and obedience they also vowed to pray for all Christian slaves. They were all given permission to wear the white habit of the Mercedarians and Sister Mary de Cervellon was elected their first Mother Superior. Sister Mary had such an empathy and devotion to the poor and needy that soon she began to be called Maria de Socros (Mary of Help). Mary de Cervellon passed away on Septemeber 19, 1290. During Mary’s life and after her death, there were people who swore that they saw Mary literally on the “wings of the wind”, reaching down and saving floundering ships from rough seas so they might stay their course and continue on their journey to free Christian prisoners from the Muslims. A great devotion grew in her honor and it was given approval by Pope Innocent XII in 1692. Paintings of Mary show her with a ship cradled in her arms as she saves it from the roaring seas around it. Mary de Cervellon’s body lies incorrupt to this very day in the Mercedarian Basilica in Barcelona, Spain. At this very moment in time, a massive hurricane named, Irma, is talking dead aim at our homes in Florida and the Caribbean. The seas beneath Irma have turned into monstrous, walls of pounding destruction. Since St. Mary de Cervellon, is the patroness of sailors and invoked especially against shipwreck, she is generally represented with a ship in her hand. We might invoke her name and ask her to help quell the pounding seas or maybe help divert Hurricane Irma in a diiferent direction. We could really use her help. *the Dogma of the Immaculate Conception was not proclaimed until Pope Pius IX did so in 1854. Joey insisted he kept seeing and talking to his dad. He had told his brothers and sister and they thought he just did not understand Pops’ passing. But then Beeker and Joey went to stay with Charlie and Eleanor Winters for the summer. They lived on an old farm in the Abadon Forest . But so did the “Darkened”. They did not want Joey anywhere near the Abadon. Why? They feared his innocence. 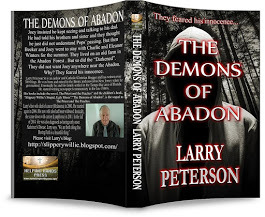 @slipperywillie #YAParanoral #YASuspense #YAThriller “The Demons of Abadon-V1-Shadows and Light” FREE 11/7 until 11/11 on #Amazon! Grab it while you can! Helping Hands Press and Larry Peterson hope that you enjoy the story. 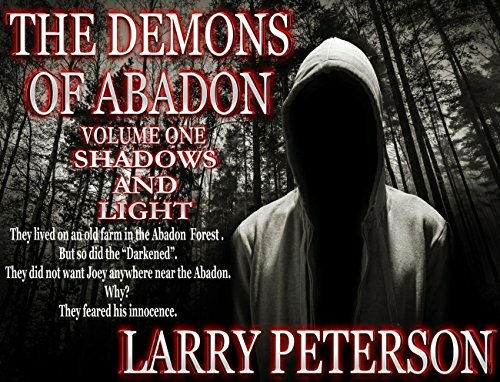 Starting Monday November 7 and running until November 11 Larry Peterson’s “The Demons of Abadon – Volume 1 – Shadows and Light” will be FREE on Amazon Kindle!!!!!!! If you do take the time to read the story, please leave a review for the author on Amazon, Goodreads, the authors blog or website or here on the HHP blog. We would love your feedback! Thank you in advance! He noticed a strong odor as he moved the curtains to look inside. A vile liquid surged up his throat and spilled out on the grass. He grabbed his cell phone and called 911. Thus begins the case that unnerves the most seasoned veterans on the force. A witness interview leads Detective Dallas Keegan and her partner to evidence that puts the investigation into overdrive. HE IS NOT DONE. Her personal life unravels as she hunts down this demon while fighting her own. Helping Hands Press and Patti J. Smith hope that you enjoy the story. @gridirongranny5 FREE! FREE! FREE on #Amazon 11/7 until 11/11 Patti J. Smith’s #Crime #Thriller “Grave Obsessions-V1-Chiseled Heart”! 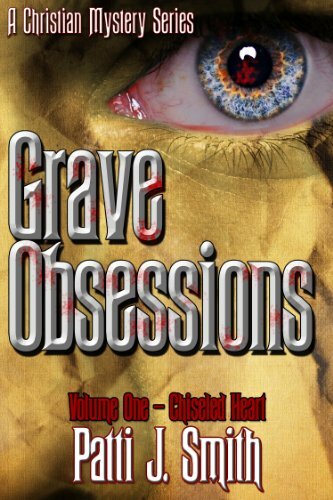 Starting Monday November 7 and running until November 11 Patti J. Smith’s “Grave Obsessions – Volume 1 – Chiseled Heart” will be FREE on Amazon Kindle!!!!!!! Louanne and Frank Hubert are two school teachers and almost empty-nesters getting ready to enjoy summer when an unexpected call from their past rocks their world. Will re-opening a long-neglected campground provide opportunities to realize new dreams? Or will mysteries from the campground’s past scuttle their plans before they can begin? A budding romance for the Hubert’s daughter provides help and hope for moving forward. 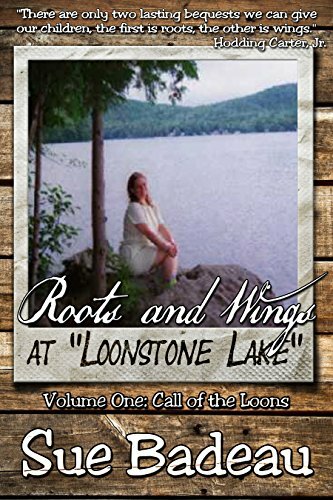 Starting Monday November 7 and running until November 11 Sue Badeau’s “Roots and Wings at “Loonstone Lake” – Volume 1 – Call of The Loons” will beFREE on Amazon Kindle!!!!!!! 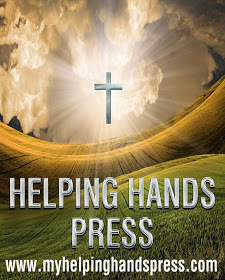 Helping Hands Press and Sue Badeau hope that you enjoy the story. 11/7 until 11/11 @SueBadeau “Roots and Wings at Loonstone Lake – V1 – Call of The Loons” is FREE on AMAZON!!!!!! Life that created ripples so intense that they became waves of death for millions of the pre-born. The decision was all clinical and legal. The fact that the country which they were chosen to represent was founded on the Judeo-Christian principle and Natural Law never entered into their deliberations. The tsunami that followed their decision now has given birth to a false wave of ‘pretend’ compassion and dignity. Camouflaged inside that relentless and deadly wave was something called euthanasia. The years passed by and we became smarter. More years passed by and, as we grew even ‘smarter’, we decided it was smarter to be more “more-free”. Then there were those who decided they wanted to be “me-free”. Meism grew and self-gratification became the rallying cry for the ‘meists’. Religion became an albatross around the necks of many. Why? Because religion had rules and among those rules the word “NO” was used. Freedom was being transformed from self-sacrifice into self-gratification. Eliminating respect for others began to wane and freedom was hijacked by the self-serving. As time went by, those who dared say they objected to the world of the ‘meist’ were classified as haters. bigots, racists, and even homophobes. Today we have become so civilized and sophisticated that the courts in Oklahoma have ruled that the Ten Commandments must be removed because they violate the Constitution (doublespeak for “offending non-Christians”). The original rules used by the Founders in their American creation were tossed out by the same court system they had started. Ah yes, there is some serious “tolerance” going on in America. Today the word “freedom” is missing its most vital ingredient. The freedom that made us truly free was filled with a common respect for others and especially for the lives of others. The primary ingredient within that respect is a love and honor for our Creator, who gave us all of this to begin with and without whom there would be nothing. Our Founding Fathers knew this. They were not adherents to any particular religion but they were Deists. They understood that we did, in fact, have a Creator. And to Him they showed all the respect they could muster. So the great American experiment, where people would be free and government would be subservient to the people has become a “reverse” experiment where even the most vulnerable lives are subject to the mindset of others. Without the God factor, (and God had to be removed from the equation to accomplish these goals), individual freedom has become an illusion. Over 50,000,000 pre-born children have been killed in utero. Think of the doctors, and scientists and musicians and great writers and leaders and others who never saw the light of day. 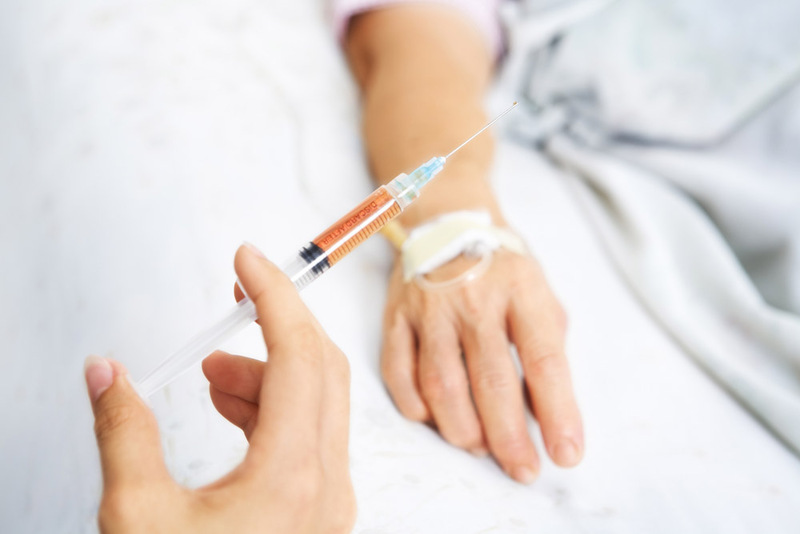 And now, with the need to be ‘compassionate’ we are embracing the ‘dignity’ of euthanasia. Belgium passed their euthanasia law back in 2002. Last year they passed a Childhood Euthanasia Law with NO AGE LIMITS. A predominantly Catholic country, Belgium’s bishops railed against this law. Two-thirds of the population ignored them and approved. What does that tell you about “meism”? Of course, in the Netherlands, doctors euthanized 650 babies in 2013. I mean babies and even toddlers who were alive. Why? The parents could not “deal with their suffering”. Whatever does that mean? There is so much quality palliative care available today. How can doctors go along with this? Today, California, Oregon, Vermont, and Montana have euthanasia laws. Yes folks, you can go there and end it all. First it was Roe v Wade and now it is euthanasia. Belgium is killing children, living children, who are ill. All they need is their “permission” along with the parents. How hard is it to convince a child that dying is a “good thing” because you won’t hurt anymore. This is what happens when you take God and His love and goodness out of life. You wind up with NOTHING. “Non-Life” becomes a dignified goal to seek. People like myself, who are against the assault on the sacredness of God given life, are now deemed “intolerant” and “hateful”. How sad this all is. The 100th Anniversary of “The Great Crime” is upon us. The killing of Armenians by the Ottoman Empire began on April 24, 1915. That was the day the Ottoman authorities rounded up 250 Armenian leaders and intellectuals in Constantinople and began the killings. The starving, the death marches, the drownings, shootings, hangings and other various implementations of painful death ended sometime after the end of World War I. Records indicate that over 1.5 million people perished in the first recorded genocide of the 20th century. This “Great Crime” is also known as the Armenian Genocide. Last week, Pope Francis used the word “genocide” when he was describing what happened a century ago. The Turkish Foreign Minister immediately recalled his ambassador to the Holy See for ‘consultations’. The Turkish government (Turkey is the nation that replaced the Ottoman Empire) does not like it when you call the Armenian Genocide a genocide. They would probably prefer to make believe nothing ever happened in the first place. To date, twenty-three countries have recognized the mass killings as genocide. The United States of America is not among them. In fact, because of “political expediency”, it never has called these mass killings genocide. Interestingly, the word genocide was coined by Raphael Lemkin who, during the Nazi Holocaust, came up with the word based on the Armenian annihilation. Ignoring the Armenian Genocide is just the very “tip of the iceberg”. Lies are told all the time across the politically charged American landscape. It does not even seem to matter anymore. WIN! WIN! WIN! is the pathetic mantra of our young 21st century political environment. I know politics has always been a “dirty game” but there was some honor and integrity involved, especially when we were talking about the very fabric of our nation. Common sense did take priority over “political correctness”. Not anymore. Former Senate Majority leader, (now Minority Leader) Harry Reid, took to the floor of the United States Senate and accused the Republican candidate for president, Mitt Romney, of not paying taxes for over ten years. Recently, when asked about it, he admitted he lied. He smirked smugly and said, “He didn’t win, did he?” And lying from the Senate floor as Majority Leader, Harry Reid could not be held accountable for it. A fine example for Americans young and old. 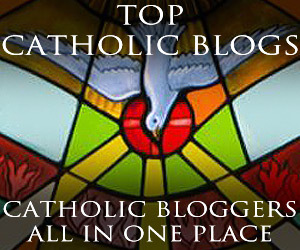 We are witnessing the genocide of virtually all Catholic/Christians in the Middle east. We see and hear of it every day. With modern technology it is up close and personal. We see beheadings, shootings, burning people alive, even crucifixions within hours after they happen. Where is the outcry from the people of the world? Where is the demand to slam these barbaric, satanically fueled monsters perpetrating these acts back into the hell they crawled out of? The President of the United States does not even call them “terrorists”. The mainstream media in America puts the stories on the back pages. We are told our worst enemy is “Climate Change”. Ignoring truth and preaching for political expediency is an insult to all of us and an abomination of the American character. We could be, in addition to the genocide of Christians, be witnessing the genocide of the American moral fiber. What ever is going on? What ever has happened to a country that was the “Shining City on the Hill”? I guess it has been taken hostage by self-serving impostors who care, before all else, about power, position and money. In 20 months maybe we can recapture that “Shining City”. And maybe I am just an old fool who still believes in the slogan from the old Superman comics: Truth; Justice; and the American Way. Did they really say that? Meet Little "Christy": She was Murdered by Satan's "Mad Dogs"
The picture to the right is beyond description. It may be the most depraved picture I have ever seen. Yes, that is a baby, maybe 12 to 14 months old. Yes, the “mad dogs” who were about to kill her took the photo before doing so. They wanted to use it to instill fear in others they also hate. So they posted it wherever they could. For me the picture is absolutely haunting because it seems you can actually sense a desperate pleading spread over the innocent face of this beautiful child. I do not not know her name but, since she was a Christian child, I have named her Christy. Satan, using the blackened souls in his possession, had Christy murdered. The depraved savages doing his heinous bidding made that choice. They did not have to but they did. They embraced Satan and allowed him to turn their souls into nothing more than excrement. They actually laughed as they murdered little Christy. Yes, they laughed. Christy probably was just aching to be held by her mom who had already been killed. (I wish that I could reach into that photo and yank her little body out of there, give her a bottle, a hug, wrap her in a blanket and bring her to her mom.) Damn! Along with that lofty place on the world stage and having been blessed with so many natural resources and freedoms comes a responsibility. This responsibility is for the less fortunate around the world. We have an obligation to the persecuted and downtrodden, to the hungry and the poor, to the sick and elderly, to the children and their future—to babies like Christy. “God shed His Light on Thee and Crown Thy Good with Brotherhood”. How often have we all sung those words? How often we have left rivers of our American blood and priceless American treasure behind while being “brotherly”? In our own imperfect way we have tried, over and over and over and we should be proud of our efforts. Through wars and hurricanes and tsunamis and earthquakes and plagues, we Americans have always been ready to help whether it be with food, water, medicine, clothing, money and whatever else, including soldiers, that was needed. We ALWAYS tried to “Crown His Good with Brotherhood”. That is because we Americans are connected to each other and that connection goes further than “from sea to shining sea”. It moves onward across the oceans like giant tentacles reaching out and latching onto people all over the world. This included Christy and I guarantee you that somehow we are linked to that child. If I sound a bit like a “pollyanna” I do not care. I know that it seems that our country has lost some of the respect we had and has been diminished in the eyes of some folks around the world. Some of our own leaders have belittled our greatness. No matter, God has shed His Light on us even though some are spitting in His benevolent Face. But nothing has changed. We Americans still have the greatest country with the most plentiful resources and abundant crops. We still have our great freedoms although slowly some have been infringed upon. Having been blessed with these gifts it follows that we still have the responsibility to be a ‘big brother” to our less fortunate and weaker family members. The “mad dogs” who murdered baby Christy want to murder each and every one of us too. As distasteful as it may seem we must always do our best to “Crown His Good with Brotherhood”. We cannot protect and/or save the world but when vicious barbarians with 7th century brains and 21st century equipment start murdering (in the most brutal ways) men, women, children and babies and these desperate folks plead for the USA to help them, we must. That is also part of our Manifest Destiny and we cannot ignore it. It is time we showed our muscle, acted like a big-brother and helped smash those cowards to smithereens, using whatever means are necessary to achieve that end. If Christy has a brother or sister they need us NOW. "The Scandal that is a "Shameful Silence"
Dietrich Bonhoeffer was a Lutheran theologian in Germany during the reign of Adolf Hitler. His book, “The Cost of Discipleship”, has become a classic. Focusing on the “Sermon on the Mount”, the book more or less spelled out what Bonhoeffer thought was the true way to follow Christ. In addition to his theological writings and teaching, Dietrich Bonhoeffer was a staunch, anti Nazi dissident. He spoke out vigorously against Hitler’s euthanasia and genocidal persecution of the Jews and, in so doing, became a hated enemy of the Third Reich. As such, he was arrested in April 1943 and on April 9, 1945 was hanged, accused of the ambiguous crime of “plotting against the Nazis”. We are absolutely fascinating creatures, we humans are. Many of our species can be so kind and compassionate, loving and gentle, sweet and understanding. Many people will save a tiny bird with an injured wing or a cat stuck up in a tree. They will send money to perfect strangers to help them through a crisis. They will feed the hungry, clothe the naked, visit the sick and give drink to the thirsty. Then you flip the coin over and you have many of the very same species who are filled with a self-gratification which culminates in a hate and disdain for others of their own kind. These include those who will torture and kill their fellow humans for the most obtuse reasons such as: religion, skin color, birthplace, political beliefs or whatever other self-serving reason a murderer may come up with. Many kill and torture saying they were “only following orders” and had no choice. Others kill because of pride fueled by envy and greed. So I ask why? Why are we, all of the same species, so different in our hearts? How can some of us kill and others forgive them for doing so? Why do some of us willingly and joyfully give of ourselves for people we may not even know? Why do some of us hate others they may not even know? Why are there those that love their fellow human being unconditionally? The answer has to be because of the very existence of “good vs evil”. What is “Good vs Evil”? I can tell you what it is and I do not care if you disagree. It is the war waged by Satan and those that follow him against the God of Love that created him and all of his followers. If you take a breath and look at the world of today and then glance back at yesterday and the centuries before, what has changed in the hearts of man? Mosul, the very cradle of Christianity, can trace the followers of Jesus back to the first century. As of today it seems that the entire Christian population of Mosul has been purged from this ancient and historic city. Murder, including beheading of civilians and the wanton murder of women and children has virtually eradicated the city’s Christians. And what do we see and hear from the print and broadcast media? We hear the sound of nothing. We hear the sound of a “Shameful Silence” that reverberates throughout the very souls of all the people vanquished because they were Christians. Dietrich Bonhoeffer said it, “Silence in the face of evil is evil itself.” He was hanged by the Nazis for his “crimes” over 70 years ago. What has changed? The press was quiet then as the Nazis purged the world of the “hated Jew”. Most of the main stream media (print and broadcast) is quiet now as the Islamists purge the world of the “hated Christian”. The Shameful Silence is a disgrace. Nothing has changed, nothing at all.